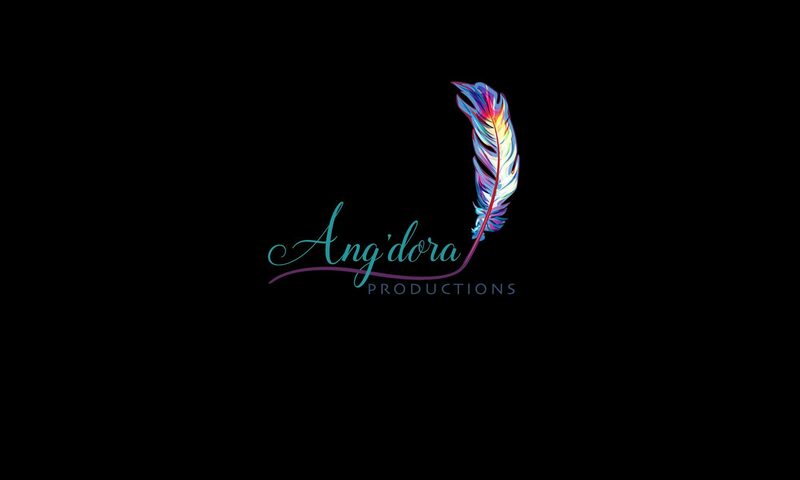 2018 has been a productive year for us at Ang’dora Productions! Sometimes we get so bogged down with the day to day to-do list, we forget everything that we’ve accomplished. Here’s a quick run-down of all that we’ve done! We know we’re forgetting much, but that’s quite a list as it is. Thank you for supporting us this year! Stick around – we have so many exciting things planned for 2019 that we can’t wait to share with you! It’s going to be another fantastic ride! We are excited to announce that author Brynn Myers has signed a publishing contract with Ang’dora Productions for its Havenwood Falls Shared World program. Myers will be writing a novella for the Legends of Havenwood Falls historical fantasy series, launching June 2018. Brynn Myers is an adult paranormal romance author. After considering writing a hobby for years, she finally turned her passion and talent into a career. She came into the paranormal genre later than most but has always loved fairy-tales and all things magical. Using that love, she creates charmed worlds by writing stories involving passionate, strong-willed characters with something to discover. We are excited to announce that author Eric R. Asher has signed a publishing contract with Ang’dora Productions for its Havenwood Falls Shared World program. Asher will be writing a novella for the Legends of Havenwood Falls historical fantasy series, launching June 2018. We are excited to announce that author Tish Thawer has signed a publishing contract with Ang’dora Productions for its Havenwood Falls Shared World program. Thawer will be writing a novella for the Legends of Havenwood Falls historical fantasy series, launching June 2018. Bestselling and award-winning author Tish Thawer writes paranormal romances for all ages. From her first paranormal cartoon, Isis, to the Twilight phenomenon, myth, magic, and superpowers have always held a special place in her heart. Tish is known for her detailed world-building and magic-laced stories. Her work has been compared to Nora Roberts, Sam Cheever, and Charlaine Harris. She has received nominations for a RONE Award (Reward of Novel Excellence), and Author of the Year (Fantasy, Dystopian, Mystery), as well as nominations and wins for Best Cover, and Reader’s Choice Award. We are excited to announce that author Kallie Ross has contracted to write a full-length novel for Havenwood Falls, the New Adult/Adult series in the Ang’dora Productions Shared World program. The story features Tate Kasun, older brother of Willa, the main character in her Young Adult novella Written in the Stars (releases Oct. 13, 2017). The Dec. 21, 2018 release will be Ross’ third book in the Havenwood Falls world. Her second, co-written with Susan Burdorf, releases July 27, 2018. The Havenwood Falls shared world is a collaborative project featuring multiple authors and multiple series. While most stories are novellas, there will be some full-length novels coming in 2018. The program currently has over 20 authors contracted for 40 books, with more contracts being added every month. The signature NA/Adult series as well as the Young Adult series, Havenwood Falls High, are both fully scheduled for monthly releases throughout 2018 and into 2019. Ang’dora Productions is currently extending contracts for Legends of Havenwood Falls, a historical series to launch Spring 2018. We are excited to announce that author Cameo Renae has contracted with Ang’dora Productions to write a sequel to Bound by Shadows, her Havenwood Falls High novella that releases Jan. 12, 2018. The new book, a full-length novel, releases Oct. 12, 2018. We are excited to announce that author Amy Hale has contracted with Ang’dora Productions to write a second story in the Havenwood Falls shared world program. The New Adult novella will be released May 25, 2018, and features characters readers meet in her Havenwood Falls High novella, Somewhere Within (releases Nov. 10, 2017). Author Kristen Yard, whose debut work The Fall releases Oct. 13, 2017, has contracted with Ang’dora Productions to write two more novellas for the Havenwood Falls shared world program. Both Havenwood Falls High young adult books are sequels to The Fall. Book 2 releases April 6, 2018, and Book 3 releases Sept. 14, 2018. We are excited to announce that authors Kallie Ross and Susan Burdorf have contracted with Ang’dora Productions to co-write a novella for Havenwood Falls. The novella features characters from their other Havenwood Falls stories and releases July 27, 2018. This will be the third book for Burdorf and the second for Ross in the Havenwood Falls world. Burdorf’s first Havenwood Falls book, Old Wounds, released Aug. 4, 2017. Her second story, a full-length novel, releases April 20, 2018. Ross’ first story is a novella in the Havenwood Falls High series, Written in the Stars, releasing Oct. 13, 2017. We are excited to announce that author Michele G. Miller has contracted with Ang’dora Productions to write a second story in the Havenwood Falls shared world. The yet-to-be-titled, Young Adult book will be a sequel to Awaken the Soul (releasing Dec. 8, 2017) and will be a full-length novel. The Havenwood Falls High book will release July 13, 2018.